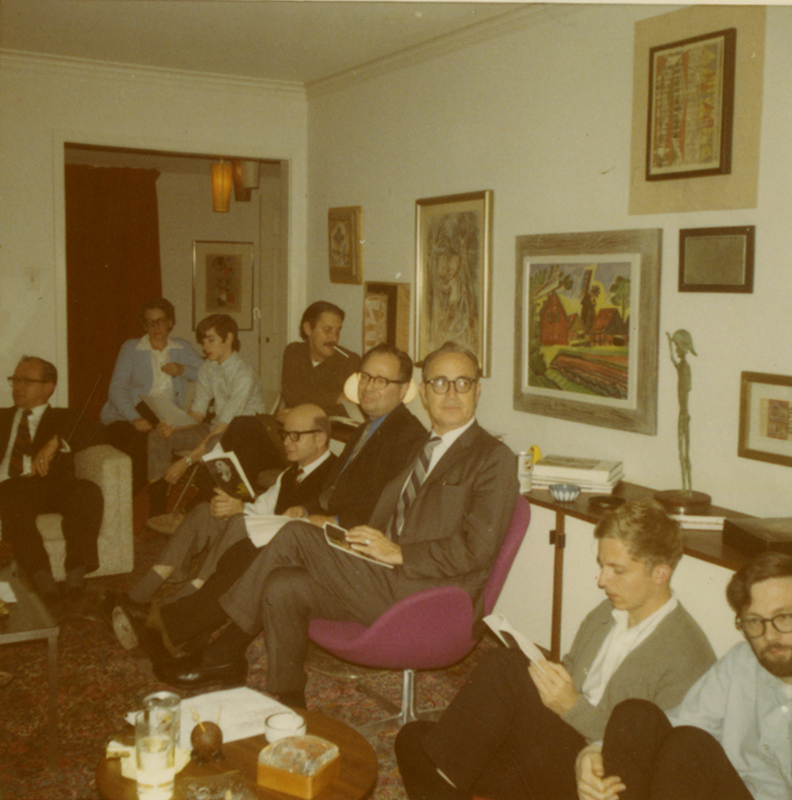 The faculty play reading group, meeting in the Brotzen's house in 1970. 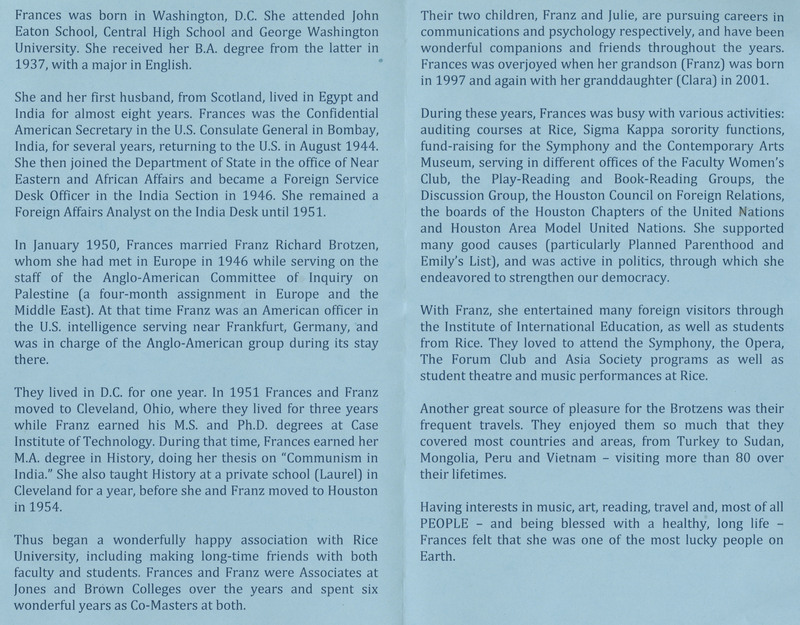 Frances is in the doorway. The only person I can recognize in the first picture (without checking) is Douglas Doughtie, who’s in the lower right corner. Other faces are vaguely familiar, but I’d be guessing if tried naming them. Oops. I meant Edward Doughtie. I bet that that’s Franz, Jr, sitting in front of Frances. Franz, Sr, is sitting on the floor in front of them, and wearing glasses. Oops, misread your post. You are correct. Actually, I’m pretty sure the guy with the glasses is Dave Davidson, but cannot swear to it. My brother did not wear glasses until a few years ago. 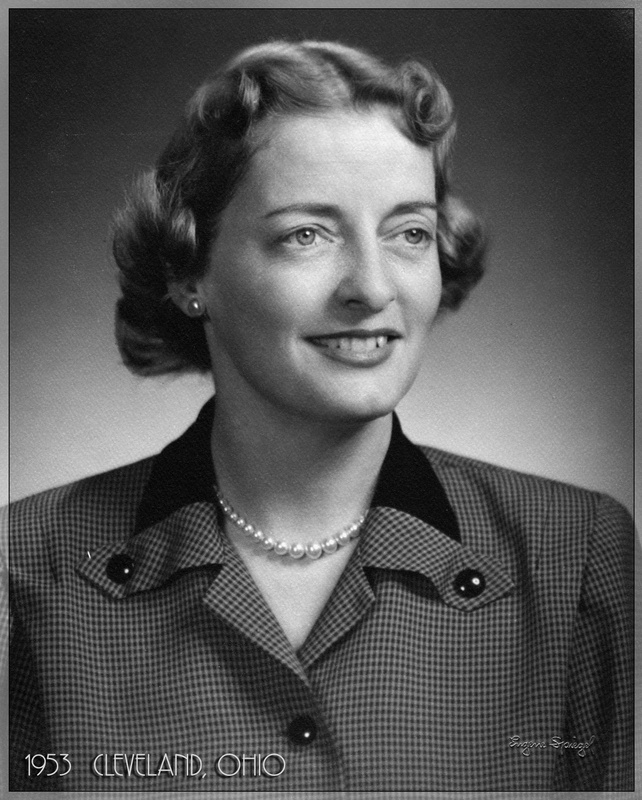 By the way, thanks so very much for honoring my mom’s memory. Franz and I really appreciate it. Franz is in the photo, but is sitting next to my mother in the background. She was an amazing individual. Thank you for recognizing her devotion to Rice. I miss both your parents very much. They were incredibly kind.